Cryptopirates pool! Racing to be first! Thanks, I got tired of looking at the same thing on every pool so thought I would change it up a bit. - 1% Pool Fee. The first 50 registrations will lock in 0% fees forever. Thank you for pointing that out. It seems the custom template had an issue with the newest version of MPOS. Getting it fixed now, should only take a about 5 or 10 minutes. Fiixed. Pre-registration is open. First 50 will lock in 0% fees. I think I missed the train but my username is Nick51705. I would appreciate 0% but I will mine with yall regardless. I like the look! Do you guys have a limit on how much an individual can contribute to the pool in terms of % of total hashrate? I've definitely gotten limited on other pools before. Where is everyone mining at launch? If I start a cudaminer on a pool will it eventually log in once that pool starts mining? I want to be there at launch but might have to sleep before then. I know it resets every 15 seconds. 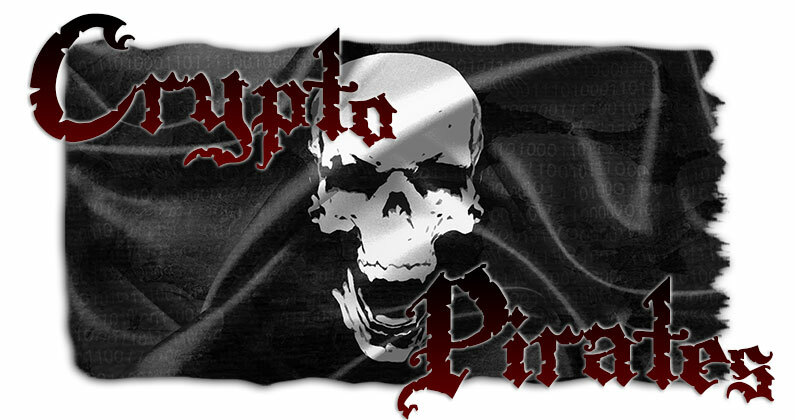 Come sail with the Cryptopirates! Join our pool network and help us dig for ZeitCoin! Just a little time left! First of all, what is P2Pool? P2Pool is one huge, peer-to-peer pool based on the original coin protocol. Miners connect to "Nodes" and all of the P2Pool "Nodes" connect to each other, forming one big pool. Your mined coins will be deposited directly into your wallet, they are never held by any pool "operator" and cannot be lost due to incompetence or fraudulent behavior. Node hash size doesn't matter. Even if you mine on a small node, blocks are found with the entire P2Pool network! You'll get the same payouts no matter how large or small the hash rates on your pool. You will get better rewards: P2Pools award transaction fees from black rewards to the miners. P2Pool is DDoS resistant, it is impossible to DDoS the entire peer-to-peer P2Pool network, at best all someone can do is knock a node offline, in which case your client will just switch to one of your failover nodes. You do not have to register on any pool sites, etc. all you need is a wallet address which you will use as your username, and your rewards will be paid directly into your wallet. Most P2Pool nodes have <1% fees, and if you want 0% fees, you can even set up your own node on your local network. Even if the node you are using goes down, you will not lose a single micro payment, as the network itself stores your pending rewards, and will distribute them to you as normal. It's not really a disadvantage, but it takes longer for you to receive useable coins as they have to mature in the blockchain before they can be awarded to you. Don't panic if you don't receive your rewards quickly, they will arrive! You need at least 200kH/s to mine effectively on P2Pool. Your latency to your node matters a lot. High latency means you will have a higher reject rate. When you're looking for nodes you want to ensure that your ping is low. If you connect to a node with no miners currently using it (or a very small number) you will receive massive numbers of HW errors. Don't panic! This is because when a node first starts up, it sets the share difficulty to 0, after 1-2 minutes it will auto-adjust and you will stop receiving HW errors. How can I find the closet P2Pool node? We are expecting to have individual miners in the range of 10 to 30+ MH each so I think there is going to be a decent sized diff pretty fast which should give the smaller miners a little time to get shares submitted before you solve it. Its a prop payout system so every one will get paid for the portion they contribute (submitted valid shares). I don't see any reason to limit an individual person on a prop payout. If you made up a large portion of the pool rate you would be finding most of the blocks but people would still get paid out of those blocks for their submitted shares. The only time I have seen someone tell large hashrate individuals to leave the pool is because that pool has over 51% of the net hashrate which people try to avoid from happening. Ok, awesome. Expect 100+ Mh/s coming your way a bit after launch. I learned a great deal of fundamental truths from the Zeitgeist films. For all those banging on about socialism; the movement is not a socialist ideology it is more focused on sustainability which is something that is extremely important to the continuity of the human race. If things carry on they way they are the planet is going to be dead but not before we see larger scale conflicts over resources. I am not a socialist and I agree that socialism does not work. I subscribe to Bill Gates views on our current system of capitalism. What he describes as selfish capitalism. My view is that which is shared by Bill Gates and Warren Buffet in the context that governments and large corporations need to give back more for the betterment of the human race. I support free trade, I support capitalism and the freedom that we enjoy under democratic societies. I would just like to see a fairer system of capitalism where people can accept that enough profit is enough and there is no need for endless pursuit of profit. In regards the money issue. There always has to be a form of currency whether it is fiat money, commodity money, paper money. The current monetary system is floored and collapse is inevitable. A monetary system that is controlled by private companies who can generate money out of thin air and was designed to generate profit through never ending cyclical debt is doomed to catastrophic collapse and hyper inflation. Anyone who contests that; speak to an economist and ask them why we are in the midst of a triple dip global recession. Ask yourself why governments globally are currently recalling and hoarding their gold reserves since December 2013? For example Germany retrieved $200bn of it's gold reserves from the USA, France and London in 2014. Why the media are reporting that the US dollar may collapse in 2014 causing a global collapse of the monetary system? These issues are one of the primary attractions for me to cryptocurrencies. Digital currency is outside of the traditional monetary system and is a way of retaining something of percieved value that can be exchanged / traded / spent. There are people who are investing in cryptocurrenies for exactly the same reason people invest in precious metals during times of economic turbulence. I am in on Zeitcoin and good luck with the launch.